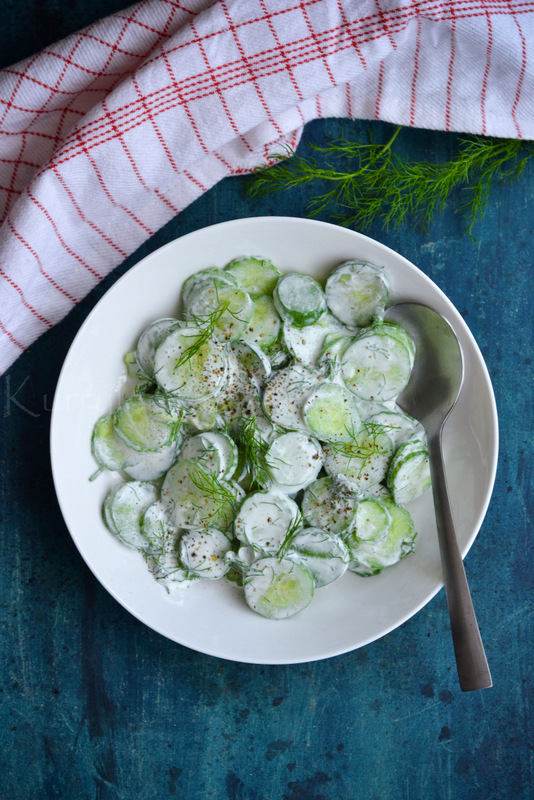 Quick,easy and delicious cucumber salad with greek yogurt. 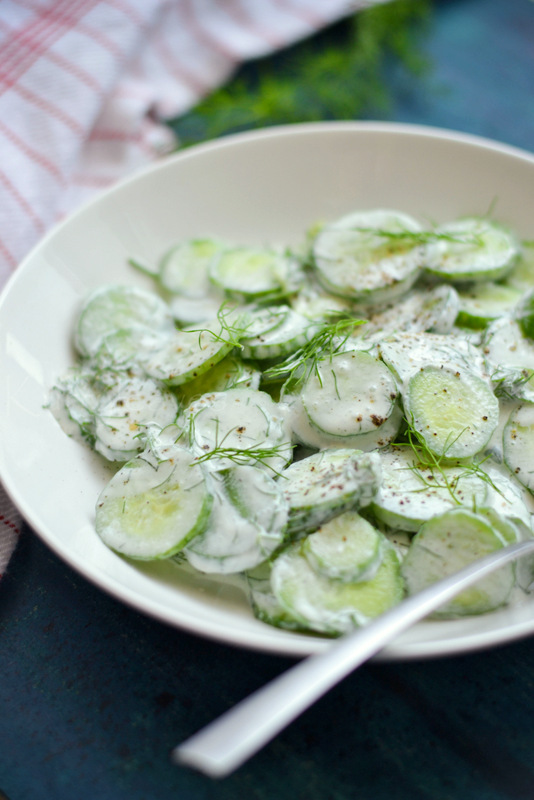 In a large mixing bowl combine together greek yogurt ,dill leaves,apple cider vinegar,honey ,salt and black pepper.Mix well until combined. Add cucumber and onion,mix gently until combined.